Here’s what happened. A team of hairstyle scientists set out to create the coolest, manliest, and most awesome hairstyle possible. And they did, and they called it the afro. And all was good as the afro swept the world. War ceased. The birth rate tripled. Everything seemed perfect, but someone out there just knew there was a way to make the afro even cooler. So what did he do? He combined the afro with chops and created a hairstyle so perfectly sublime that the universe collapsed in on itself into one perfect singularity of cool. Don’t you remember when any of this happened? 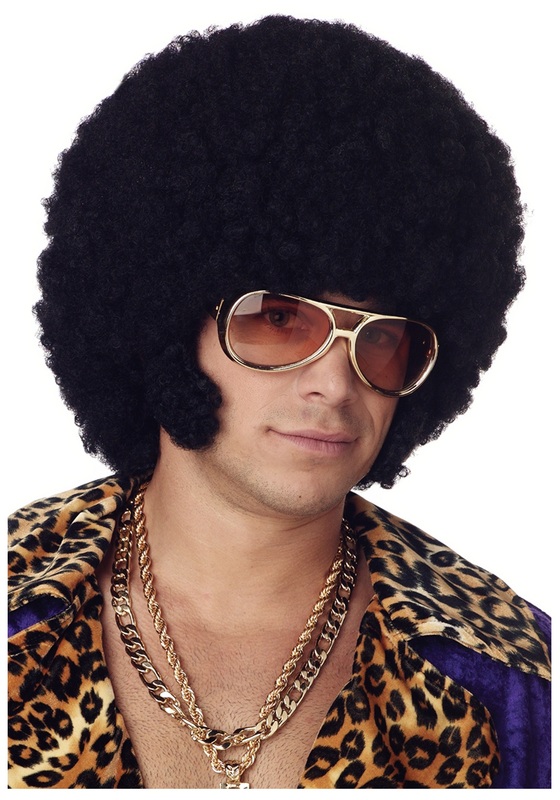 Any man wearing our Afro Chops Wig can expect their funk level to increase by at least 6-fold, their radness quotient to spike exponentially, and their all-around righteousness factor to go off the charts. It's the perfect topper to your disco look. With hair like this, living the super groove is a given!